Smith’s career was devoted to enhancing the opportunity for everyone to learn to ski through advances he personally pioneered or which his area innovated through his direction and support. They included teaching techniques like the Graduated Length Method; innovations in snowmaking systems which he shared with areas across the country; objective snow reports that replaced the subjective excellent-good-fair-poor judgments of 1950s condition reports; a guide for beginning skiers that succinctly introduced them to the sport; free skiing arrangements for local children; and the lengthy seasons for which the area is best known. The selection of Preston Smith as the Spirit of Skiing honoree comes in the year when the New England Ski Museum features, as its annual exhibit, “Green Mountains, White Gold: Origins of Vermont Skiing” in its Franconia Notch headquarters. The annual meeting awards dinner will be held at the Killington Grand Resort Hotel. The event begins with a reception at 5 p.m. and is open to the public, with tickets available for $80 per person or by table. Reservations may be made by calling the New England Ski Museum at 800-639-4181 or visiting www.newenglandskimuseum.com/37th-annual-meeting-spirit-of-skiing-award-to-preston-smith/. All proceeds of the dinner support the mission of the non-profit organization to preserve skiing’s past in New England and elsewhere. 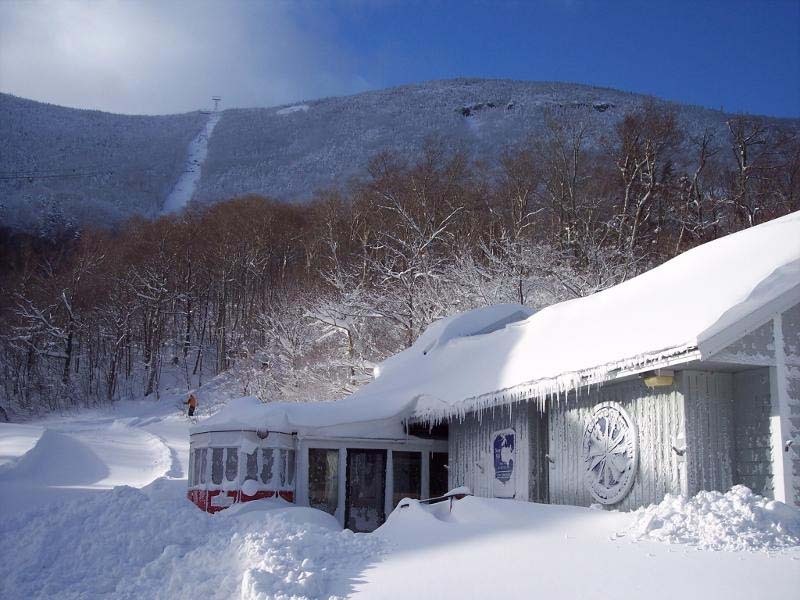 The New England Ski Museum is located at Exit 34B, Interstate 93 next to the Cannon Mountain aerial tramway in Franconia Notch State Park. The museum also maintains satellite exhibits at the Intervale Scenic Vista in Intervale, in the lobby of the Eastern Slope Inn in North Conway, and at the base lodge at Bretton Woods Mountain Resort in Bretton Woods. The museum is open daily 10 to 5 through the end of the 2015 ski season.